Why you need to Improve Page Rank? Let me explain to all of you why page rank is useful for your site. Though, there are few experts says that page rank doesn’t matter and it’s true. There is no direct connection of PR with traffic, but to have a maximum page rank, gives authority to website to come in SERP soon. Every website owner has a dream to be on the first page of Google or any other search engine. However now a days it is very hard to achieve it, Google has implemented lots of new algorithms. 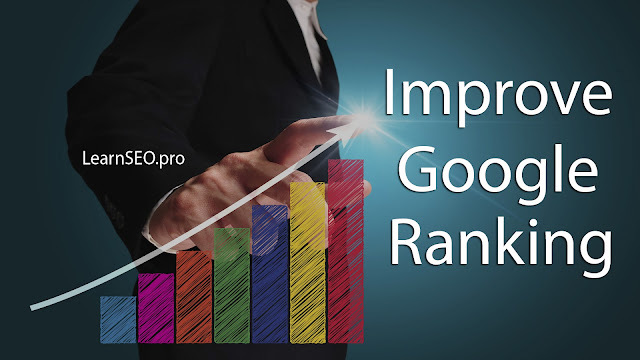 Here I will share the best ways to improve your website Google ranking. This is the best way to improve google ranking. You have to publish a content on your website on daily basis. Quality content created specifically for your intended user increases site traffic, which improves your site’s authority and relevance. Once website will be updated daily Google will recognize site as Genuine and Authoritative. Which will help you to be on top of SERP. The fresh content will attract other webmasters to exchange links which gives you a precious one way inbound links. As per Google recent post algo, it’s important to have a blog with a unique post at least every month, it will help you to increase google ranking in search very quickly. Don't forget to share that post on social networks too. You should use proper heading tags and keywords in bold, while writing a content to improve google ranking. Don't forget to fix every broken link of your site, otherwise it could create bad impact on search results. There are so many sites to check fix broken links. You can Google it. You can also use Webmaster tool to find all broken links and pages linking to it, and work on changing the links or setting up 301 redirection. Parasite PBN's fetch link juice from the websites which are already well defined link profile, sites are constantly updated and sites which are high authority and HighPR already established sites. The Parasite PBN's will come from the platforms like, social networks, web 2.0, article websites etc. If you are already familiar about SEO and its algorithms than you should be aware about PBN's affect on website ranking. Professionals will place your site link on PBN's websites. Which will increase or boost you Google ranking quickly. Once you site link is placed on the PBN's sites, It will stay forever. Do let us know what are you doing to Improve page rank for your website? In this post you will learn to boost or improve google ranking of your website or blog. To improve google ranking you have to implement these algorithms.